Megadyne manufactures J, L and M section multi-rib V belts for use in high speed and high ratio drive applications. Constructed with polybutadiene rubber and polyester cords, our belt flexes around small drive pulleys allowing for high ratio drives to be used in compact drive package design. Multi-V Rib belts run quiet and deliver low vibration and will not turnover at high speeds. Fabric is added to the belts back side to increase lateral stiffness. 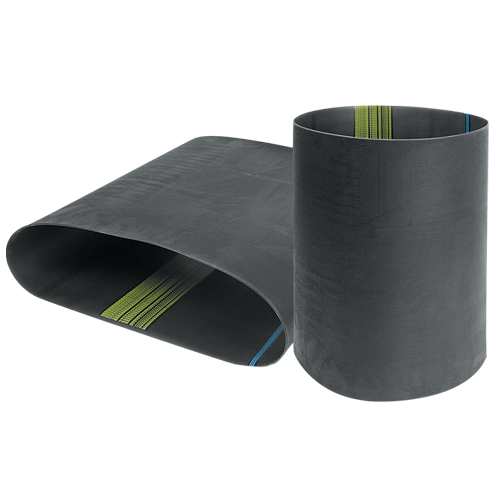 In addition to use in power transmission applications like machine tools, compressors, commercial appliances and fitness equipment, rubber multi V Rib belts are commonly covered would high friction, wear resistant rubber for use in applications like puller belts in extrusion applications. Multi-Rib V-belts conform to ARPM Engineering Standard IP-26 and ISO 9982. Multi-Rib V-belts are specified by the effective length in inches multiplied by 10, the cross-section and the number of ribs – Example: 445J6, where 44.5” is the belt length, J is the pitch and the number of ribs is 6. Elastic Cord construction Multi-Rib rubber belts for fixed center drives are available for OEM applications. Contact Megadyne to discuss you specific needs. 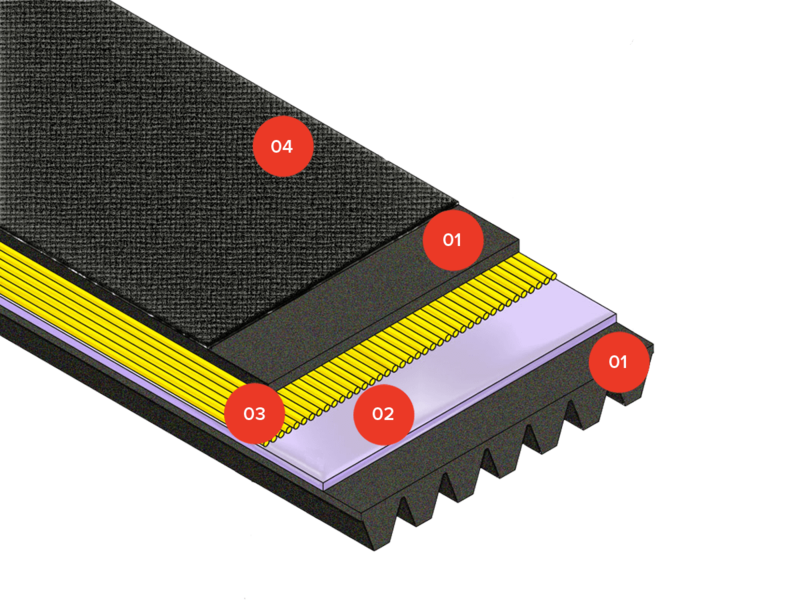 PV Rubber Ribbed belts are low noise, self-tracking, capable of running at high speeds and use a compact drive design. They can be used in serpentine or twisted drives, due to their high flexibility. The belt body is made with polybutadiene which offers a low coefficient of friction, high transmission efficiency and minimum wear. The belt reinforcement consists of low stretch polyester cords. Fabric added the back side of the belt offers lateral rigidity and wear protection. Are you interested in PV Rubber Ribbed?